Military Diver Transceiver. 8 channel, 10 watts (no EMA-2, battery or charger). 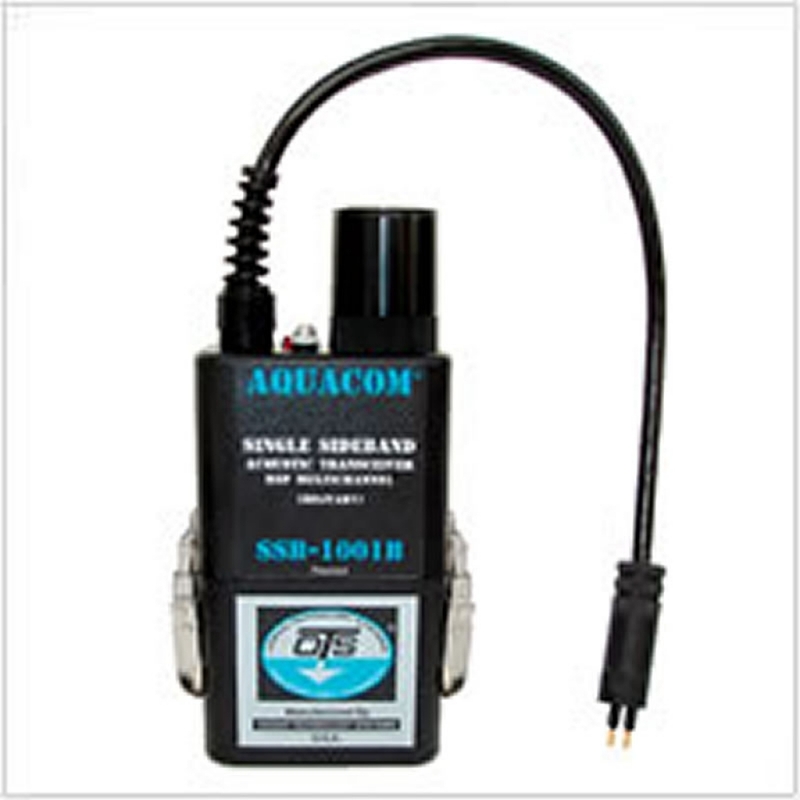 The Aquacom® SSB-1001B transceiver is a high power 10 watt, 8-channel single sideband underwater communications unit designed with the Military in mind. The SSB-1001B can be configured to operate with virtually any style full face mask (FFM) or mouth mask. With the addition of a CDK-6 Surface Accessory Kit, the SSB-1001B is easily converted into a portable surface station. 5.18" x 3.5" x 2.0"
8.125" x 4.5" x 2.25"